Birth rates are one of those apparently dry statistics that have profound implications both for public policy and for how we live our day-to-day lives. Here are two figures from the Centers for Disease Control "National Vital Statistics Reports--Births: Preliminary Data for 2011." 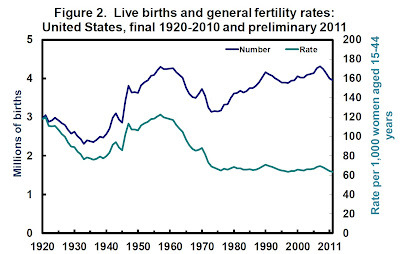 Overall, U.S. birth rates are in decline (as shown by the light blue line) have fallen below the levels seen in the Great Depression, which up until recent years had been the lowest fertility level in U.S. history. The 2011 fertility rate of 63.2 per 1,000 women aged 15-44 is the lowest in U.S. history. The number of actual births is actually near a high, but that is because of the overall expansion of population. This decline in birthrates is not evenly distributed across age groups. The figure below shows only data back to 1990. 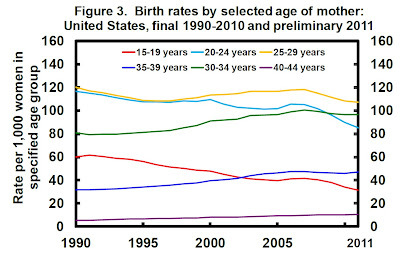 However, it illustrates that for women age 15-19 (red line), 20-24 (light blue line) and 25-29 (yellow line), birth rates have dropped noticeablyl. Although birth rates have dropped substantially for younger women, they have held steady for women ages and up. 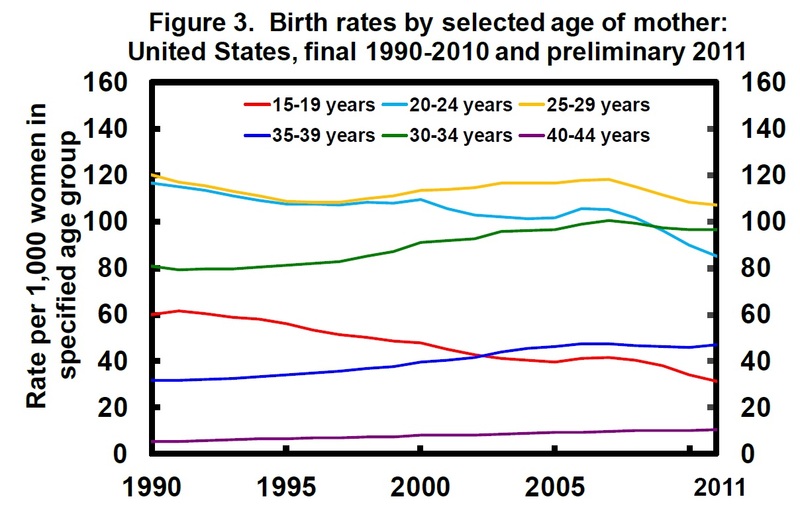 For mothers int he three age groups above 30 years, birth rates have been holding steady or rising. These shifts in birthrates have powerful implications for our lives. Politically, the number of households with a direct personal interest in supporting programs that benefit children--because they have children under age 18 living at home--has declined. 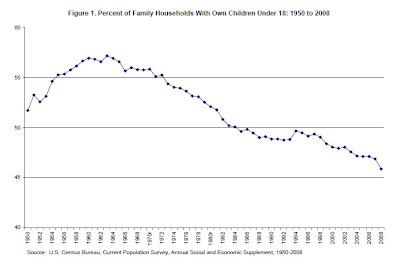 Here's a figure illustrating the long-term trend up through 2008 from Census Bureau report. 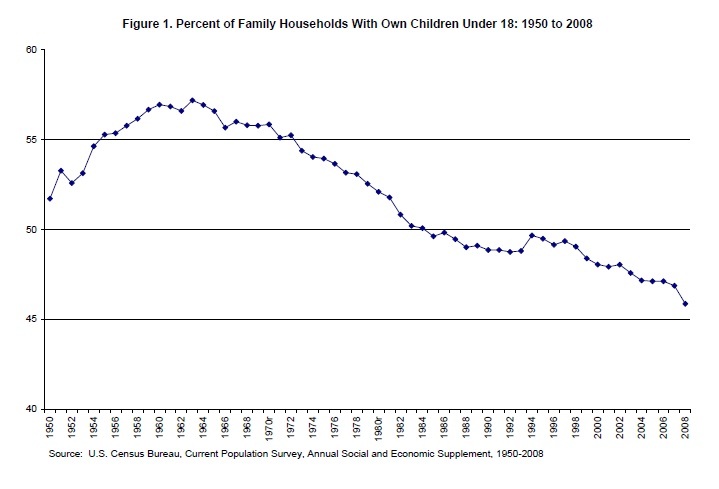 Back in the late 1950s and early 1960s, about 57% of U.S. family households included children under the age of 18. The share has been dropping since then, and is now approaching 45%. When it comes to decisions about everything from school funding and public parks up to pensions, health care, and other payments to those who are retired, it makes a real difference in a majority-rule political system if the share of families with children at home is more than 50% of the population or less. 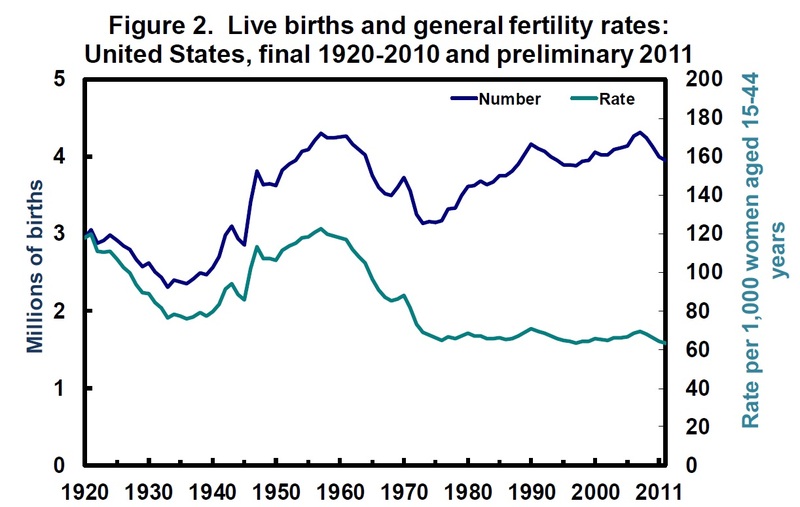 The shift in birth rates represents a dramatic change in our personal lives as well. In an article in the Fall 2003 issue of my own Journal of Economic Perspectives, economist and demographer Ronald Lee offered one point in particular that has stuck with me: "In 1800, women spent about 70 percent of their adult years bearing and rearing young children, but that fraction has decreased in many parts of the world to only about 14 percent, due to lower fertility and longer life." More people are going through young adulthood and setting their original template for adult living without becoming parents, but then having children later into their 20s, or their 30s, or their 40s. Many people are raising children not in their 20s or 30s, but instead in their 40s and 50s. And with longer life expectancies, many people will find that while their care-giving responsibilities for children cover fewer years, their care-giving responsibilities for adult parents. Multi-generational family reunions used to follow a pattern of a few older folks of the grandparent generation, a larger number of their adult children and spouses, and then lots of children. In the future, there may be four or five generations in attendance at multigenerational reunions, and with many people having fewer or no children, the "family tree" will look taller and skinnier. We are already living our family lives in a substantially different context than earlier generations. 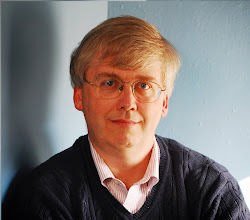 The changes are large and getting larger, although sociologists and the science fiction novelists probably have deeper insights than do the economists into how such changes are likely to affect our personal lives.